Visiting Poland as an adult grandchild of Jewish Holocaust survivors was a vivid experience. The beauty of the place, Galizia, the southern part of Poland, Lesser or Little Poland, Małopolska, the cities, the Vistula River, the countryside, the Carpathian Mountains, the generosity of the people, was stunning. This is a surreal contradiction to the deep shock of learning the intricacies of genocide. 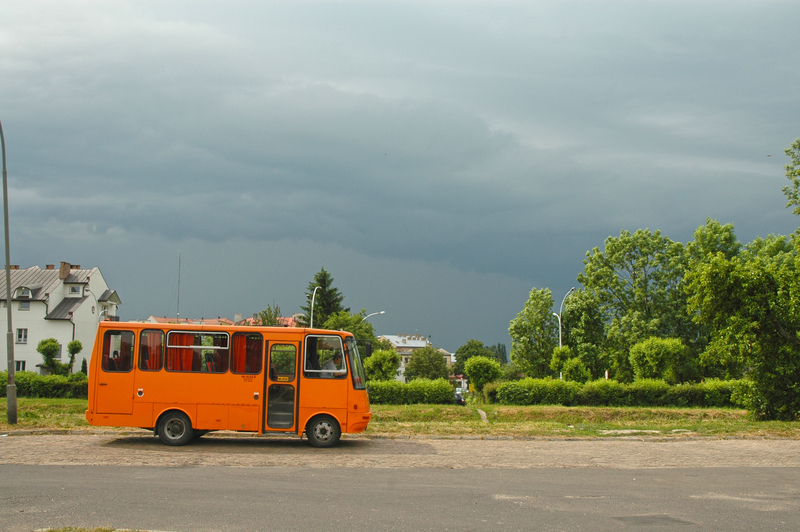 Tour van outside the Great Market Square in Zamość. (2007). 14 x 9” giclée print (2011). 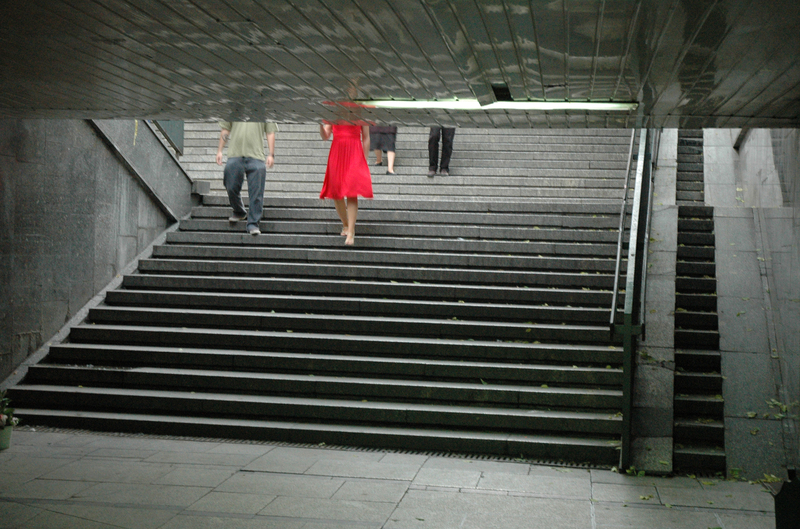 Indeed, a great deal of thinking and planning has gone into the development of post-communist Poland, to be both aesthetically astute and commercially successful, to a niche market for dark tourism, (the visiting of sites of tragedy, such as mass murder camps, New York’s Ground Zero, etc…). Crossing down by the Vistula River, Krakow. (2007). 14 x 9” giclée print (2011). Usually tastefully apart from the reflective and meditative spaces of the deeply disturbing sites of monstrous, systematic murders, are places where you can return from your journey with souvenirs of a lost culture. 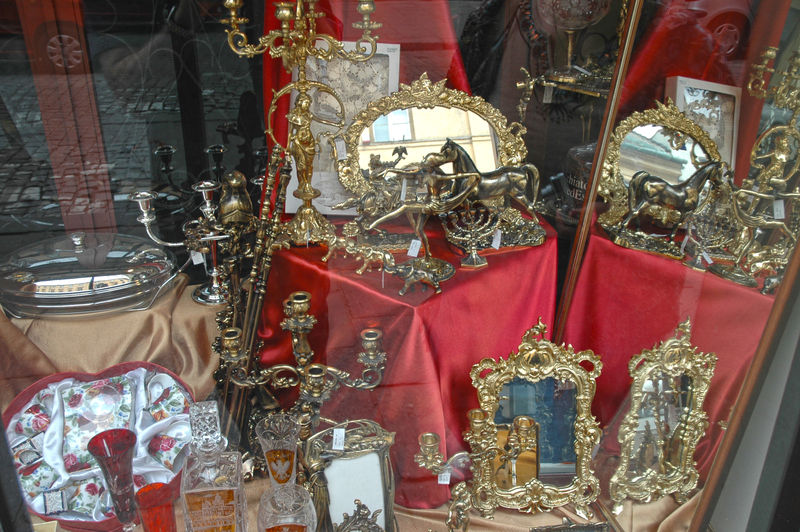 Antique store window, Krakow. (2007). 14 x 9” giclée print (2011). The death camp in Bełżec was the first place where stationary gas chambers were used to kill Jewish people. From March to December 1942 about 500 thousand people were murdered here, most of whom were Jews from Galizia (the former Austrian crown land that belonged to Poland between the two world wars and now stretches across Southern Poland and Western Ukraine). The great treasure of a dark tourist is not to recover a lost work of art or even a souvenir from a destroyed relative’s household but to discover as I did, that the place where I was standing was the site of my great-grandmother’s murder. Dark treasure, indeed. Mina, my great-grandmother, Bełżec. (2007). 14 x 9” giclée print (2011).